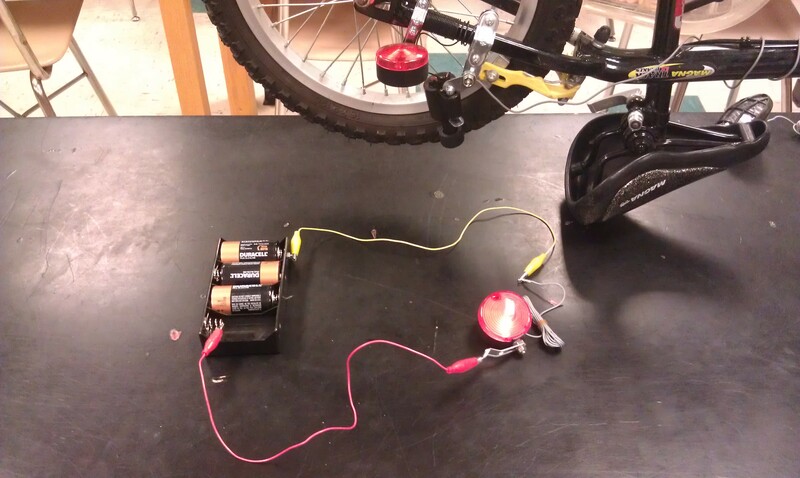 A generator-battery circuit that recharges the battery while pedaling. 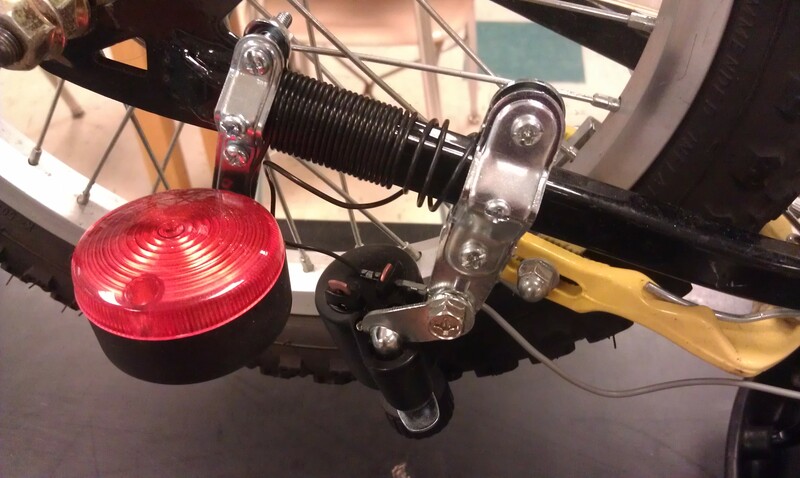 A generator-bulb circuit that lights the headlight and taillight while pedaling. 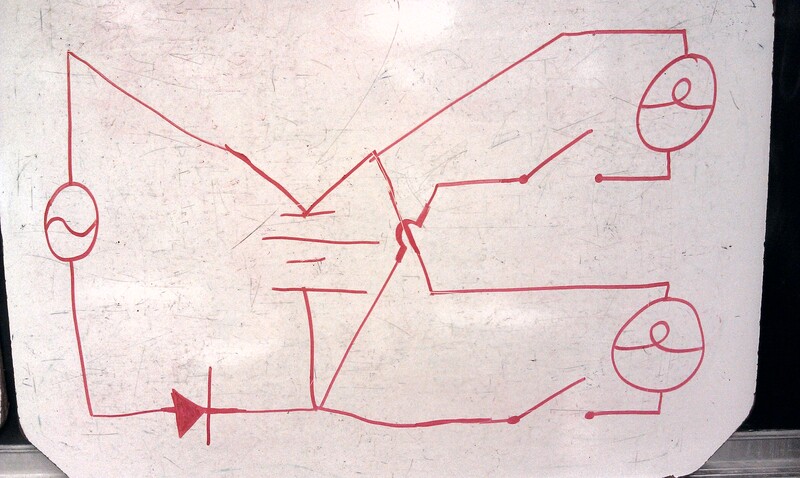 A battery-bulb circuit that lights the headlight and taillight when not pedaling. AP Physics C: Today was the AP exam. One student showed up to class this morning, even though the exam didn’t start until noon. Day 147: Watts in the Box? Conceptual Physics: Students attempted to figure out the wiring inside 8 different mystery circuit boxes by unscrewing the 4 light bulbs for each box. (Well, really 7 because one box needs repair.) I built them a number of years ago with a lot of help from my dad. If you’re not very handy, you can rewire bar light fixtures purchased from a hardware or lighting store. 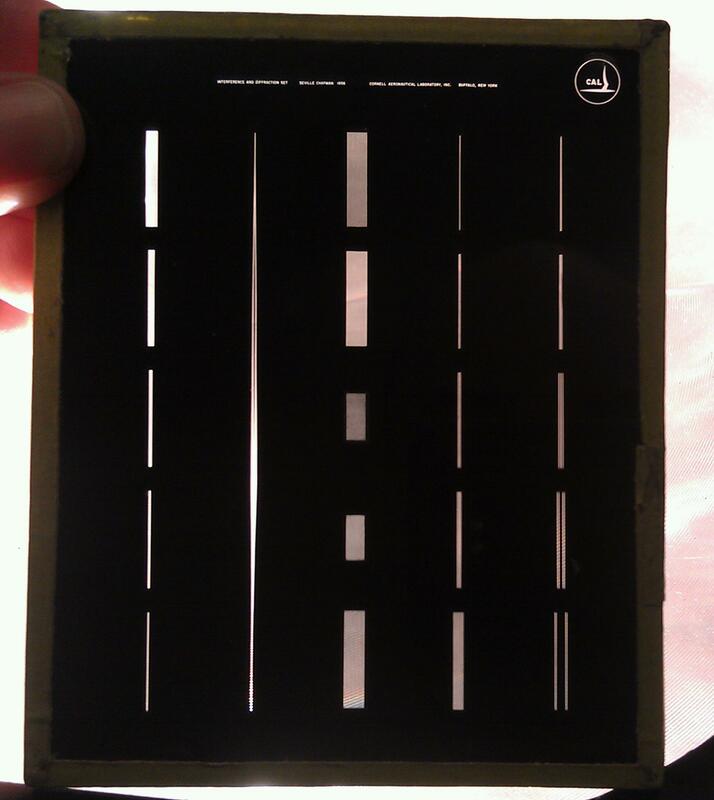 (See: Mystery Circuit Box and Make a Mystery Circuit with a Bar Light Fixture.) 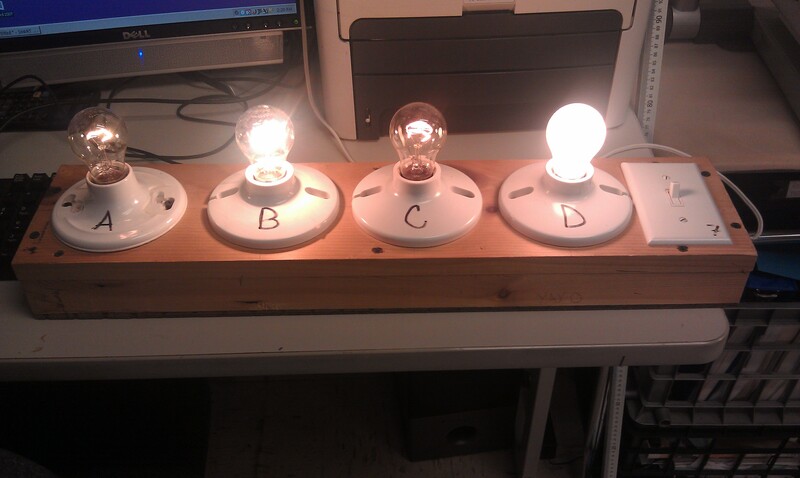 I used 15-watt bulbs that have a standard base (clear glass whenever possible). They are a bit more expensive, but they never get too hot to touch. Students enjoyed solving these circuit puzzles! AP Physics C: No class. All students were taking the AP Calculus exam today. 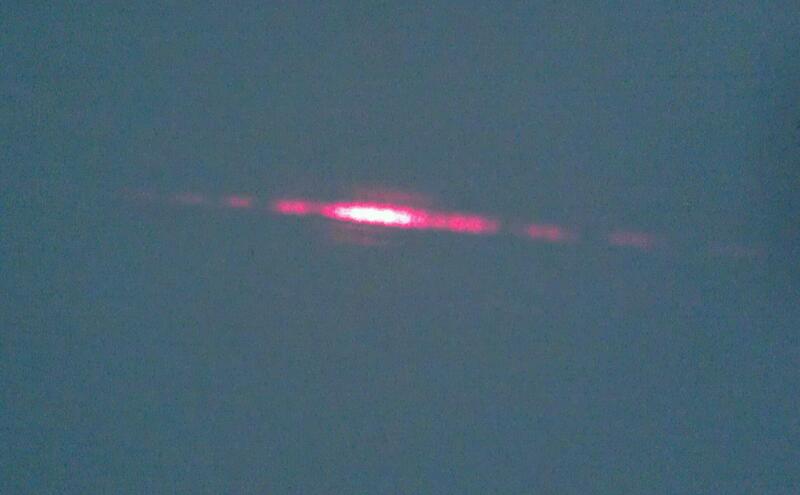 Day 144: What is the Bike Light Circuit? 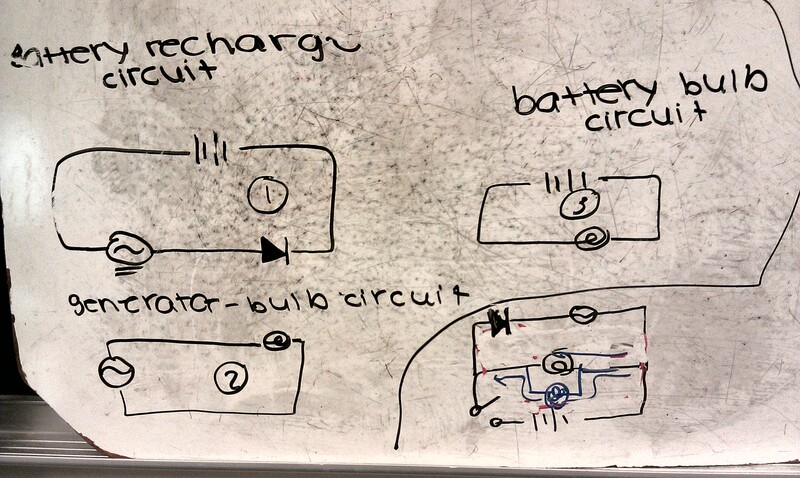 Conceptual Physics: So far we’ve looked at what’s inside the bike light generator, how it produces an alternating current, and how a diode can be used to convert alternating current into direct current in order to recharge a battery. But we have not yet looked at the actual bike light circuit — how are the generator, headlight, and taillight wired together? What’s confusing is that there’s just one wire that runs from the generator to the headlight (gray wire, pictured above) and another one that runs from the generator to the taillight (black wire, pictured above). This contradicts what we know about complete circuits. So where is the return wire from the light back to the generator? We also noticed that when the headlight was disconnected from the generator, the taillight still lit up, and vice-versa. 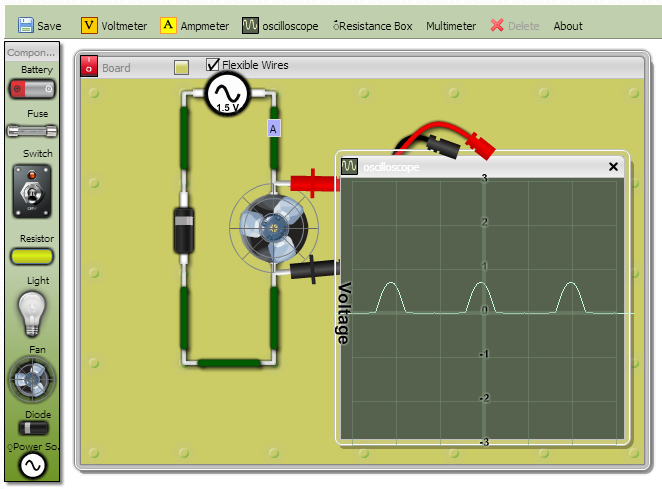 Students were then challenged to design and test (using PhET) a circuit with a battery and two bulbs that behaved the same way. 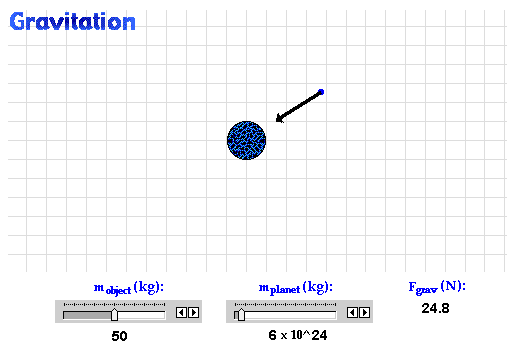 College-Prep Physics: Work day to tie up loose ends on WebAssign and lab work. AP Physics C: Faraday’s Law problems.